We have been very lucky to have some visitors to KS1 that have caused a stir throughout the school! We received a package of 10 eggs from the Happy Chick Company, and not long after setting them up in their incubator (which simulates the warmth of the mother hen sitting on them) we had 10 chicks chirping away! We transferred them (carefully) to their home for the next few weeks. It has a heat lamp that keeps them warm, and we watched as they dried out and became fluffy. Although the chicks are staying with the year 1/2 classes, everyone in the school has been popping by to visit and have a cuddle with them – even Mr Arnell! 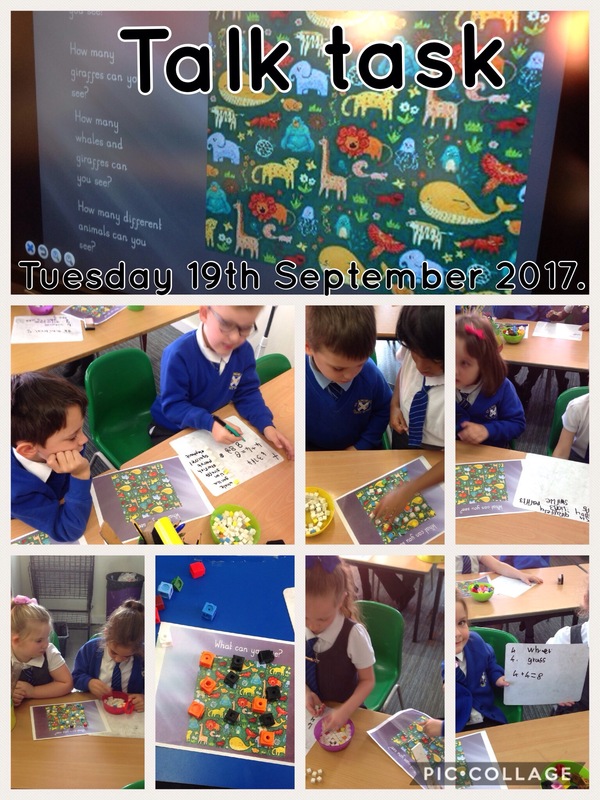 We have enjoyed exploring number and using our fantastic reasoning skills to solve problems today. We kick started our new Literacy unit with an exciting orientation session on Monday! We will be writing the narrative of the Little Red Hen so we learnt lots of new vocabulary as we labelled our chickens. There were a lot of new words, and some that made us laugh when we found out what they meant. Did you know a ‘vent’ means a chicken’s bottom?! After that, we imagined we were chickens and had a go at moving like them in the ‘Barnyard Boogie’! We flapped our wings, pecked with our beaks and scratched at the floor. Even the teachers joined in! What will we learn about the Little Red Hen tomorrow? Welcome to the new school year. We have all been busy creating our learning environments here in keystage one. We have had a marvellous time exploring our knowledge of fire. We have been busy creating stained glass windows, lanterns, fire pictures, dirty smoke and fantastic topic book covers. Here are a few pictures of what we have been up to.